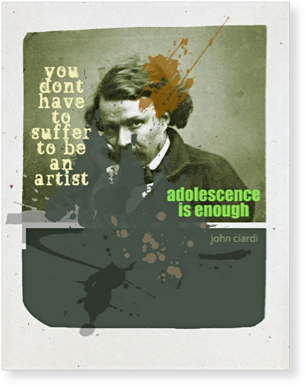 Above Artists Who Suffer. Digital montage © Roy R. Behrens (2011) based on Nadar self-portrait. Available as print on paper from Bobolink Books.